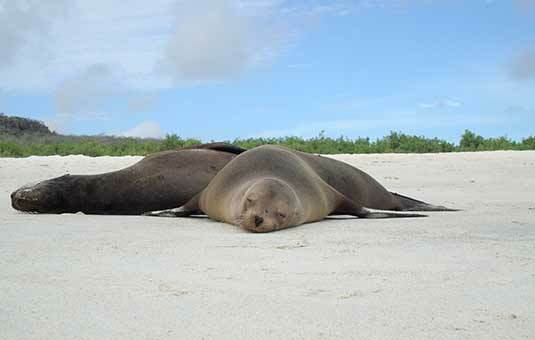 Unlike birds, most mammals cannot fly to Galapagos, so all of them had to get there by accident. Small mammals such as the Galapagos rice rat presumably were washed off of the mainland somehow clinging to floating material such as fallen trees or reeds, arriving at Galapagos after some weeks at sea. 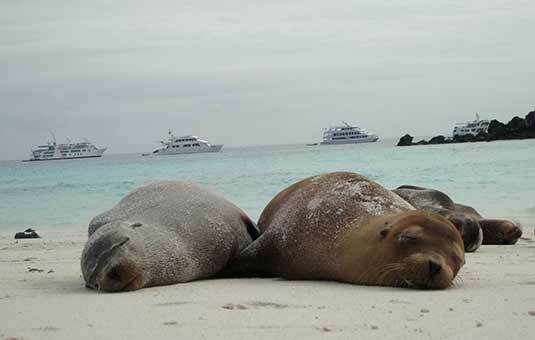 The famous Galapagos sea lions are descended from ancestors who lived off the South American coast: a fierce storm untold centuries ago likely brought them to Galapagos, where they thrived. Today, many other mammals live in Galapagos, such as goats, dogs, pigs, donkeys and cows: these were all brought by humans. 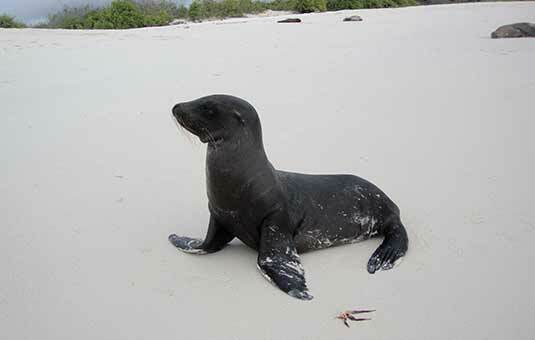 The mammals that came to Galapagos needed to adapt to their harsh new environment in order to survive. 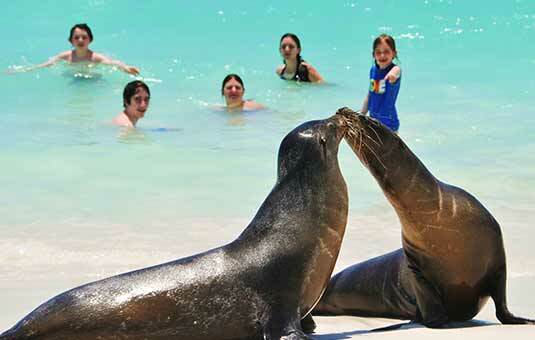 Like mammals everywhere, the Galapagos species have cycles of mating, reproduction, looking for food, etc. If you're wondering when is the best time to go in order to see your favorite animals, use this helpful guide! When is it found: All year round. Breeding takes place from May through January. 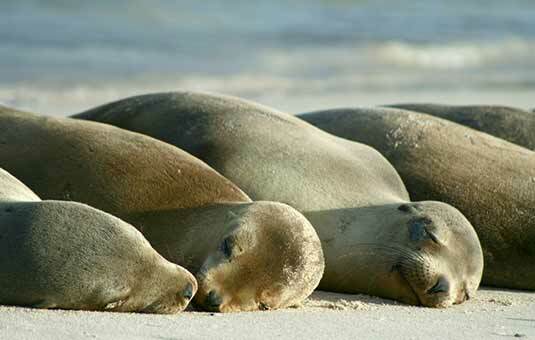 Interesting fact: Feeding mostly on sardines, sea lions sometimes travel 10 to 15 km from the coast over the span of days to hunt for their prey..
Sea lions (and their elusive cousins, the Galapagos Fur Sea lions) can be seen year-round at most visitor sites. The best time to see them, however, is between June and November, when there are many adorable sea lion pups to be seen in the "nurseries," looked over by watchful mothers! 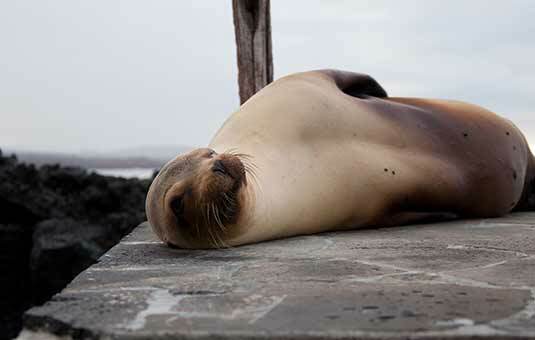 If you're in Puerto Ayora, head over to the fisherman's dock to catch a glimpse of the famous "Pancha," a female sea lion who has been unofficially adopted by the fishermen, who feed her scraps. 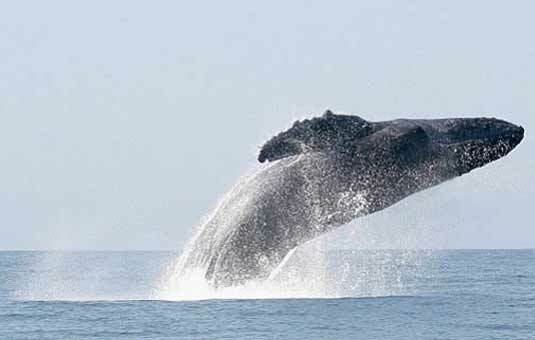 Several species of whales and dolphins make their home in Galapagos. 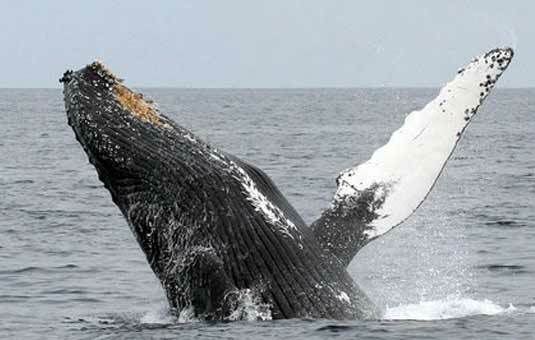 The whales most commonly spotted are the Bryde's Whales, who like the channel between Isabela and Fernandina Islands. Dolphins include the Common Dolphin, the Bottlenose Dolphin, the Risso's Dolphin and the Striped Dolphin. The Bottlenose variety is the most often seen by visitors. 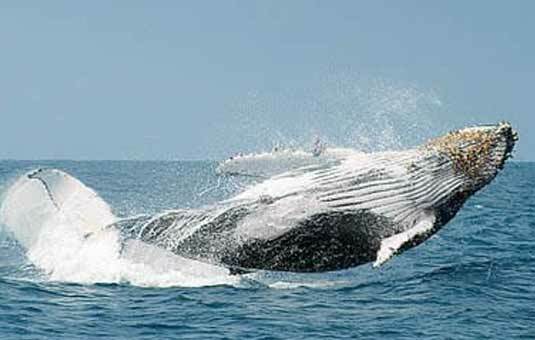 If your guide, captain or panga driver sees whales or dolphins, they'll usually try and bring visitors closer for a good look. Where is it found: Particularly around the islands of Bartolome and Española. When is it found: July, August and September. 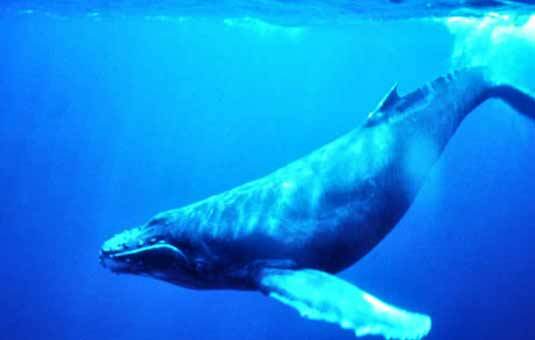 Interesting fact: In the 19th century, the Galapagos Islands were the center of whaling in the Pacific Ocean. The endemic Galapagos rice rats have been hit hard by the accidental introduction of other rat species such as the black rat and brown rat when early ships visited the islands. These invasive species are more aggressive and have driven the rice rat to extinction on all islands except for Fernandina and Santa Fe. It's very uncommon to spot one today. 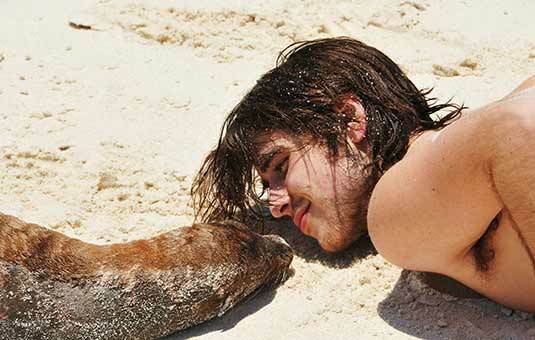 Vigorous preservations efforts are underway to save the Galapagos rice rat. There are two species of bats that live in Galapagos: the endemic Galapagos Bat and the native Hoary Bat. The smallish Galapagos Bat feeds at night exclusively on insects. During the day, they nest in thick mangroves. They are common on San Cristobal and Santa Cruz, and can occasionally be seen in Puerto Ayora or Puerto Baquerizo Moreno, flying around and feeding. The Hoary Bat is common in North America and also lives on Santa Cruz and San Cristobal. 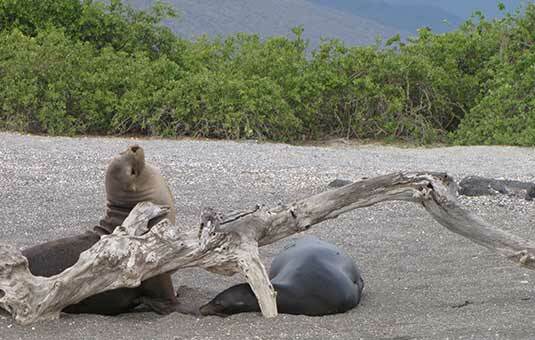 There are many other species of mammal in the Galapagos Islands, but they have all been introduced, often with disastrous consequences. Centuries ago, whalers and pirates would set goats loose on islands, providing food for the next visit. Dogs and cats were brought for companionship and hunting, but some got loose. Domestic pigs have also escaped into the wild. All of these animals have had devastating effect on the Galapagos ecosystem, eating birds and eggs, destroying habitats and interfering with local species. Aggressive efforts to control them have met with success in recent years, as donkeys, dogs and goats have been completely removed from certain islands. Occasionally, visitors will get a quick glimpse of a feral goat or dog, but for the most part these animals have learned to stay far away from humans.